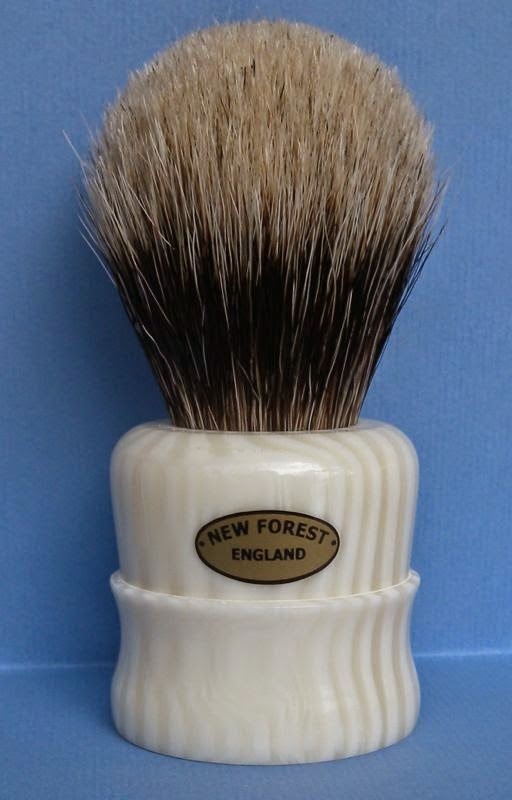 The handles are individually shaped by hand on a lathe in the New Forest and the 26mm knots are Super Badger Two Band hair. A firm backbone with soft tips make these superb all round brushes for use with hard soaps and creams. The loft is 54mm and the height and diameter of the handles is 45mm. The price of these brushes is £49.95 and this now includes free worldwide shipping. When it will be back on stock? Probably not for a few months. I have a good stock of ivory and alpolina is often unavailable at my rod suppliers. Thanks for the reply. I will buy next week a Tubby 2 White Mountain then.